Anyway, a beautiful album and, depending upon the day of the week, the one I’d call my favourite (Tales… being the alternate). Even the tracks I initially dismissed as filler sooner or later float into my subconscious until I’m unable to resist diving back in again. World music influences are still on display, leaning mainly towards Latin America (the ‘oh mei Brasil’ sample in track 3 comes from ‘Beija-Flor de Nilopolis 2003’), and while Shpongle’s albums always show off an increasingly polished technical accomplishment (which, to be fair, was already ahead of the curve on their previous efforts), on NL…BNIL it is never at the expense of musical content. Yes, this is Shpongle album and it is not really too bad... and yes - this is the weakest album, despite the weakness of the 5th one. But in case of Museum the expectations were already not so high, honestly really low. In case of NLBNIL the expectations were as high as possible and releasing such a mediocre album was an epic fail. Sure, it's a matter of the taste, but the first two albums and some tracks from the fourth one are so exceptional, that comparing to them you expect any other track from Shpongle to be if not much, less at least in the same range of quality. However they are still humans and sometimes fail. 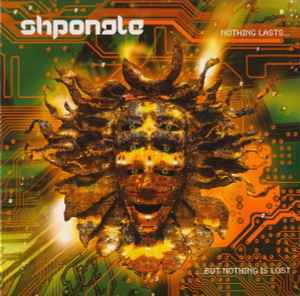 Fortunately when Shpongle fails, it means what they produced maybe not magic, but still good album. I doubt kindly that an album better than this could exists! The richness and the effort that shpongle's duo put in this work are really matchless! Every track fit perfectly with the others, despite the variety of melodies,rythms and styles. A masterpiece technically and artistically. I hope that Nothing Last.. would not be the end of Shpongle project. However I do not dare to estimate which way of musical expression they would follow next. Common opinion is that the first opus was more psy and deep ambient, while the second one was more world music-like. The third one seems to be combination of them both. It´s not about the amount of tracks. For me, every album has been one long track - and I usually don´t listen to it separately, because then it loses a bit of its magic. Especially whole Nothing Last.. is one, complex piece of art. You can find everything and anything you want. No genre or style has appropriate name for Simon & Raja, and if you still doubt what style is Are You Shpongled? and what is the difference on Tales Of Inexpressible, listen to Nothing Last.. and you will get lost completely. Outstanding. Many are not happy with Shpongle's turn away from World music (Tales of the Inexpressible). But this is their return to roots. There's not many albums this close to defining a psychadelic experience. Others are not happy with the concept of 20 tracks. I find it very interesting... If you read an interview with Simon he talks how the idea for this album was to bring back the dream experience with recurring themes. Therefore some tracks sound similar to the other. Well, another beautiful item in my cd collection. Very good album. Good quality of music but i have a couple of objections like, I'd prefer that the music in it was not devided to 20. I don't understand the artist's statement in this. Another thing is that, ok the album has ups and downs, but when you listen to the great ups then the downs Simon & Raja created to use are very difficult for my ears to accept and understand (please note that i do not want to critisize the artist's creation, I'm just expressing my impression). To be real the album captured me and this is why I got into the trouble to submit my comment! In the end I suggest it to everyone who has open mind to music and music's borders although I find it less inspired than their previous (must-have) masterpiece!